Did you miss me? I feel like I have a lot to catch y'all up on, so I'll divide this post up into three sections: where I've been, what's happening now, and what's coming up. 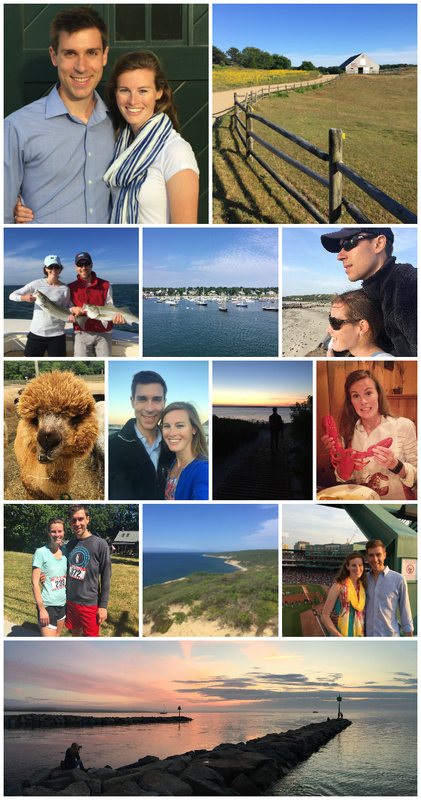 The reason I took a little break (ok, maybe 6 weeks isn't exactly short...) from blogging was because my husband and I had a once-in-a-lifetime opportunity to help run a series of summer programs on Martha's Vineyard! Never in my life did I think that we would have the chance to leave our normal lives behind for awhile to work together on a property that hosts week-long programs for middle and high school students on an island in Massachusetts. Crazy, right? "Real adults" don't do this sort of thing, do they? With my husband finishing graduate school in May and me deciding to leave my career in healthcare to pursue Mix & Match Design Company full time, we created a gap of time this summer that freed us up to do this crazy thing. Our primary responsibility was to work behind-the-scenes to ensure that the programs ran smoothly from week to week. I nicknamed the two of us "the great communicators" because a lot of what we did involved collecting and disseminating info between the summer-long staff (kitchen, office and facilities folks) and the week-long staff/volunteers so that everything would go according to plan from day to day and week to week. We were also in charge of developing community among the college-aged summer-long staff and running weekly Bible studies for them. We had such a great group and I already miss them! While we were on the Vineyard, we also managed to have a lot of fun in our off time. I feel like I should put together some kind of guide for all the fun things you can do there - we had a blast exploring beaches and cute little towns, hiking, catching sunsets, fishing, eating lobster, etc. I put together a little collage of some of the photos I snapped with my iPhone, which doesn't do our adventures justice, but it gives you a flavor! As of this past Monday, I'm a full-time entrepreneur! I've turned my attention to running and growing Mix & Match Design Company. I'm excited slash a little bit terrified. Running your own business is no joke! Transitioning from a job where pretty much every minute was planned out for me to a job where I'm the boss and it's up to me to run this thing is quite an adjustment. I'm definitely up for the challenge though, and I'm pumped to finally be able to put all my energy toward my passion of offering folks affordable and approachable interior design services! With that being said, if you or anyone you know is in need of help in their homes, send them my way! You can find out more info through the website (linked above) or contact me via chaney@mixandmatchdesign.com. 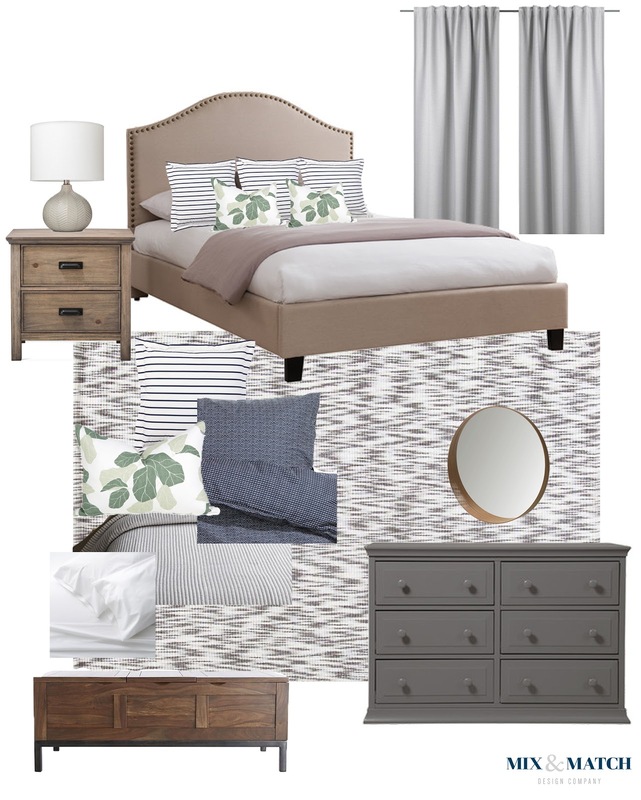 We tweaked a few of the items along the way, but this is the general gist! It's going to be beautiful and I can't wait to see it in person soon. The second project is an industrial farmhouse style dining room. I'm still working with that client to finalize a few things and I hope to share more about it in the coming weeks! The last big thing that's coming up is that in a couple of weeks we start our big kitchen renovation. Yippee! We're ripping everything out and starting from scratch. It's time to say goodbye to cracked, mismatched floor tiles, the makeshift "bar," old appliances, a leaky faucet and oh so much more... This may be one of the last times you see it like this, so get a good look now! 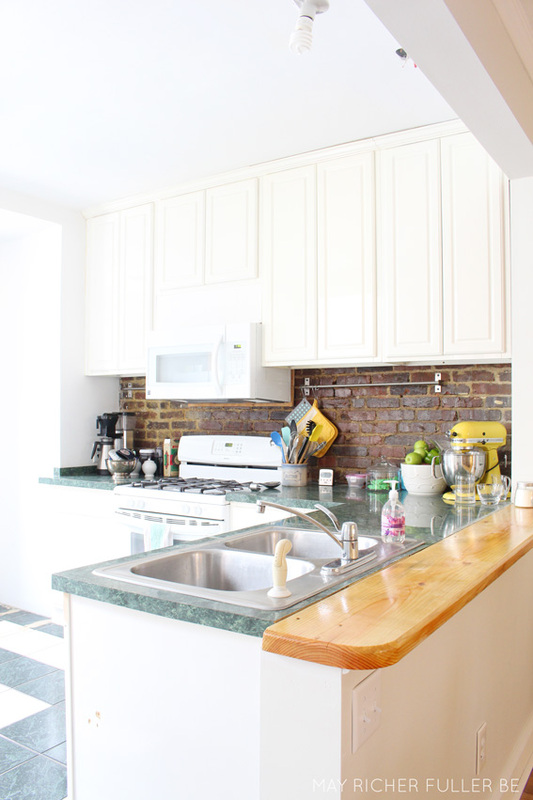 I shared my kitchen ideas and inspiration awhile back and now plans are firming up, which is exciting. My father-in-law and I will be taking this project on in August and y'all will get the full scoop as we get going. The #phillyrowhousereno is back for round two! I think I'll wrap things up for today, but it's good to be back in action here on the ole blog. More to come! I missed you so much! As for me your ideas are always very special and unusual! Thank you for sharing. The best essay writing service is full of great ideas too. Also checkout our happy new year 2017 new collections. Its more its more impressive blog, Thanks for share that. This is great blog, i really like your opinions and thoughts. great to see these lovely posts.hope you have good enough feed back. I really enjoy this great stuff, i would like to say thanks for share that. Great to see this blog and all the details are in this post is awesome. seems to great to read this type of blogs. I read your Post and impressed your written skills you have such Great through.